CHICAGO (WLS) -- Two gold coins worth approximately $2,100 have been found at two different Salvation Army Red Kettles in Joliet and Homewood, a spokesperson said. A $5 American Eagle gold coin, valued at approximately $1,000, was found in the kettle at Joliet Corps Community Center on Wednesday. A $50 Canadian fine gold coin, worth approximately $1,100, was delivered to a kettle at a Jewel-Osco store in Homewood the same day. "Gold coins are important because of the direct benefit that the additional funds provide to the people that we serve. It also gives our bell ringers and our communities hope for the year to come," said Lt. Colonel Charles H. Smith, Metropolitan Divisional Commander. 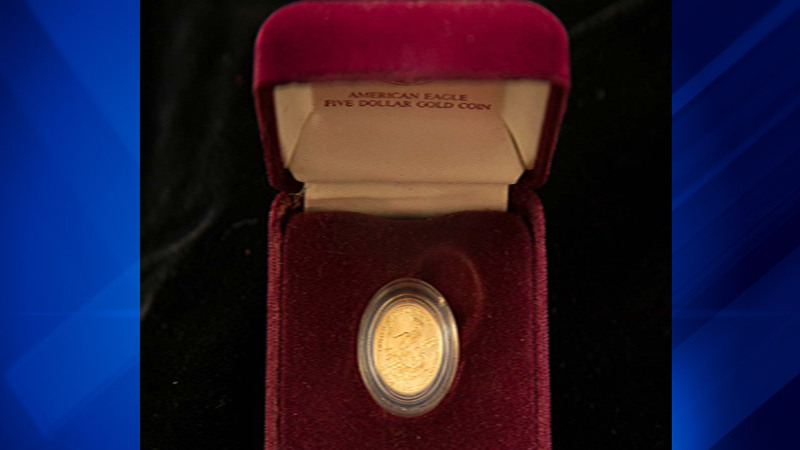 The Salvation Army says the gold coin tradition began with a donation in Lake County 25 years ago. Since then, more than 400 gold coins have been received from anonymous donors. The Salvation Army says its Red Kettles fundraise for efforts to provide individuals, seniors and families with basic needs such as food, rent and utilities.